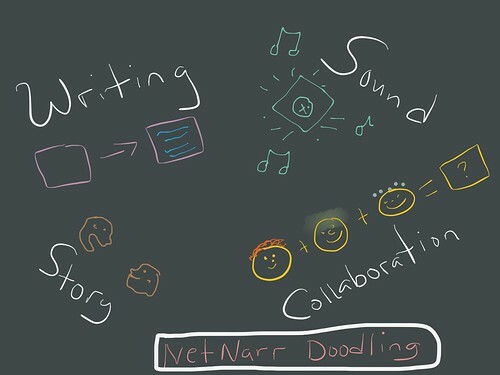 This week, at Networked Narratives, the focus is on using sound for writing and writing for sound. 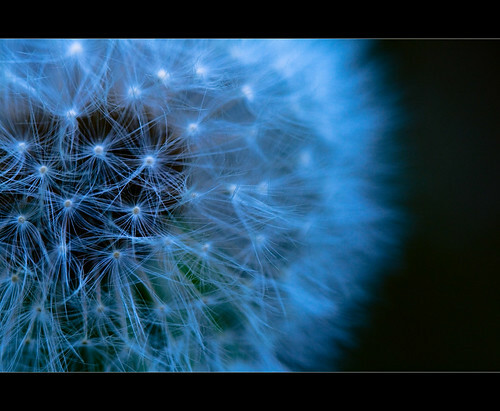 There are a few suggested activities (including gathering sounds from your surroundings), but I figured I would dig back into some past posts where I did focus on sound, both as a writer and as a teacher encouraging my students to write with sound. Sound Stories — for the past two years, during Digital Writing Month, I have been teaching my students how to use Garageband to create Sound Stories. Their task is to weave in sound effects into a short story, and then work on the recording and engineering and publishing of those stories. The results are always intriguing. 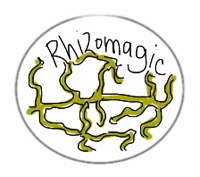 The Rhizomatic Play — In DS106, a focus is often the creation and production of Radio Plays. We took that idea during a Rhizo online collaboration and created a very complex production, featuring participants (as writers and as voices) from all over the world. No Words/Only Sounds: I also tinkered with a sound story, but tried to use no words at all, and let the sound effects tell the tale. It was an intriguing compositional process, let me tell you. But worth it. Musical Conversations: In CLMOOC, a friend and I worked on converting language to music, and then creating a collaborative musical composition of our “conversation.” Another interesting use of sound. Image Conversion into Sound: There is this program called AudioPaint (for PC only) that will take an image and convert the bitmap into audio. It’s strange and odd, and makes you think about the relationship of digital work across media. Here, I wrote a poem, which I made into an image, and then re-crafted it into sound. What will you make with sound? I don’t claim to understand all of the data analysis that goes on when people research and examine all of the elements of our social interactions in places like Twitter and beyond. Here, for example, is what the Innovator’s Mindset MOOC looked like from a data analysis viewpoint. I grapple with making sense of it all, but it fascinates me just the same, particularly when a visual is teamed up with writing that dives into the data points. So this recently published piece by some friends in my social networking circles — Aras, Autumm, Maha B., Sarah and Dave, and Apostolos — caught my attention. I’m still reading it (the title alone is a mouthful: Community Tracking in a cMOOC and Nomadic Learner Behavior on a Connectivist Rhizomatic Learning Network) …. and learning the vocabulary of research. 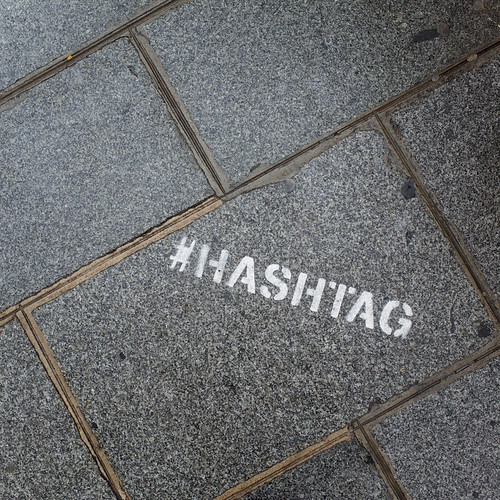 Some of the elements explored here about hashtags and the wandering spirit of those in networked spaces in this research article certainly caught my eye. I am one of those people. And I wander around quite a bit, hoping to connect with people and picking their brains about writing, teaching and more. 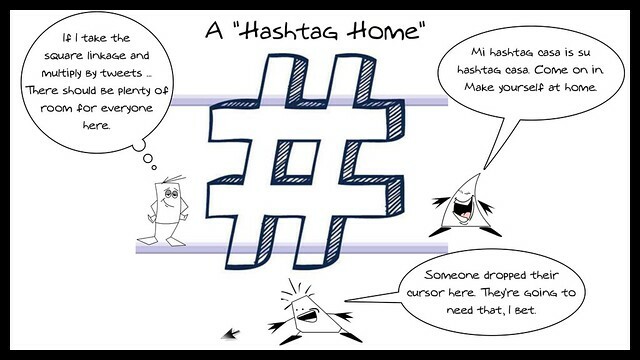 The insight of how hashtags are connector points makes a lot of sense to me. 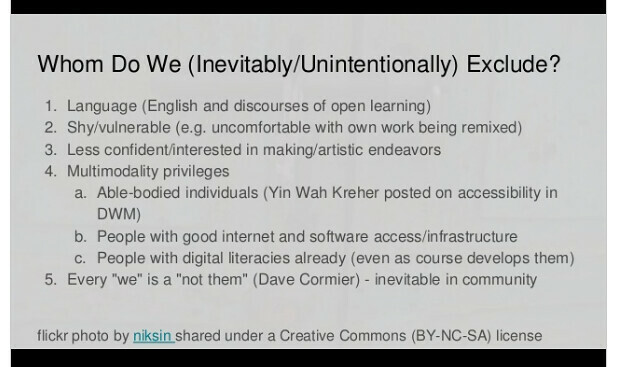 I am intrigued by the term of “nomadic learners” — those of us who skirt and toggle between open educational spaces. In fact, that term is more fluid than the “lurker” terminology that is often used, and debated in online spaces. A nomad is forever on the move, but not just transient — they stop, talk, chat, share, gather and then bring what they have learned to other spaces. As CLMOOC hosts a taste of DigiWriMo this week and into next (with an open invitation to make and create and collaborate and explore), I hope we all become rather nomadic in our wanderings and in our creations, and in our connections. 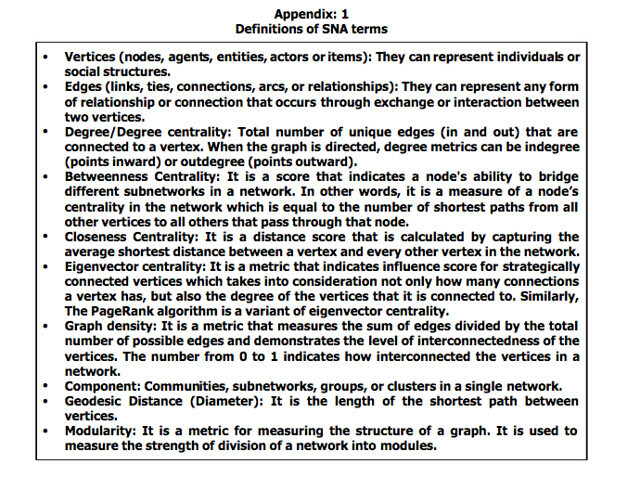 I’ll see you on the edge of the vertices. Does the technology compliment or enhance the writing of my students? 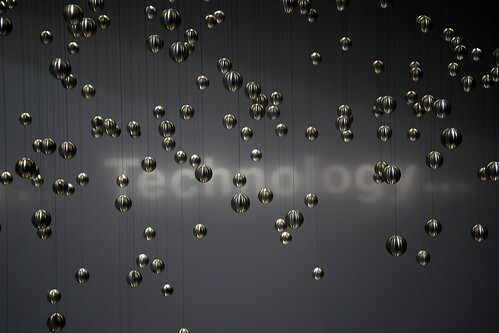 Does the technology provide for collaborative elements, or at least, allow for the possibilities of connected writing? Is there a low frustration threshold for learning the new technology so that learners across the spectrum can feel successful? Is it free? And if it is free, does it have advertising? Now, I am always open to some frustration on the part of my students. That’s how many of them learn. That’s how I learn. You, too, probably. We run into a wall, find a workaround, share the workaround with others, and push forward. Sometimes, I am the one who has to guide my students on that path. But by this time of year, most of them can do that on their own. Or turn to each other. 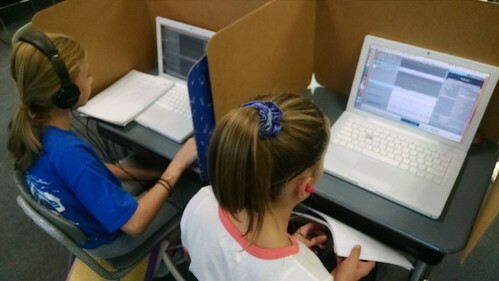 They’re learning perseverance and resilience when it comes to the limitations of technology. On a side note, this resilience does not always transfer to other content areas, such as math, where we see too much “giving up” or blind “pushing through” on the part of many students. Some theories about the increase in this helplessness focus on family life (helicopter parents) and standardized testing (there is one right answer, kid). We’re all, in education, still working on this. So, now to the present. My students have been piloting a site designed to support writing and publishing. The site has cool potential. I don’t want to go too deep into the context or specifics because of the various networked connections of the project, due to the early stages of things and it is not important to my story here, but I reached a point the other day where frustration hit the wall of resilience, and I did something I rarely do: I backtracked. The technology got into the way of the writing. This is the best way for me to put it. The technology got into the way of the writing. I spent entire class periods, scrambling from one student to another with hands raised, troubleshooting what should have been easy fixes, only to discover there was nothing easy about the fix. I spent my time dealing with the technology, and not with the writing and ideas, and by the end of the day, I had had enough. This is not how I teach. I don’t think I have ever abandoned a technology in the midst of using it in the classroom — usually, I vet it pretty well — but this situation presented too many problems, too much of the time. I came close to pulling the plug. The next day, after a night of thinking of little else and then letting those who run the platform know about my decision the next morning, I decided to offer up some alternative paths to students (including staying with the existing technology, if they chose, and there were some embedded incentives within the platform on why they would do that). Suddenly, putting that choice into their hands got the whole project back on track once again in a very positive way. Still, I am left with lingering teacher doubts. Should I have kept at it? Did we “persevere” in the face of difficulties? Or did we give up too soon? I’m comfortable with my decision here, but I still have those questions looming around in my head. That’s why I am writing this blog post, after all. 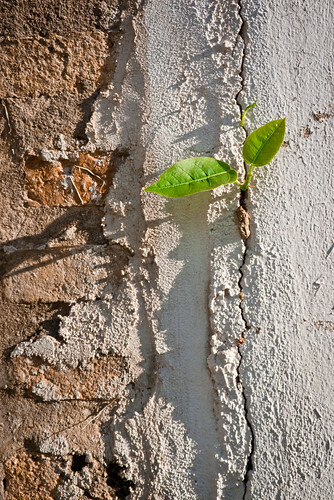 I think resilience means finding ways around, or through, the walls that emerge in our learning process. Yet resilience does not mean crashing headfirst in the wall, again and again, with the same results (and a bad headache). Maybe knowing where resilience ends, and where the new starting line begins, is one of the keys here. POST-BLOG-UPDATE-NOTE: A day later (I wrote this original post the other day and stuck it in my draft bin to mull it over) … First of all, those who run the platform have been very support of the decision to give the option to students to abandon the platform. They want us to put educational needs of students first, even if it meant disrupting the beta testing. They completely understand. Second, surprisingly, many of the students chose to STAY with the platform, even with all of its problems and technical glitches, and the choices I presented to them. I find that decision so interesting and I look forward to seeing the projects now underway make their way to completion in the coming weeks. Perhaps my students are teaching me a lesson about resilience. Three posts recently had me thinking again about the reverberations of online networks or communities or whatever term it is you wish to use to indicate projects that never quite end. I had a serious #CLMOOC remix moment yesterday in preschool. Is it happening again this summer? @dogtrax @NWPDigital_Is I’d love to join. My answer to Allie was: Truthfully, I don’t know. It may be that the CLMOOC has run its official course and that some variations of it may continue into the summer. 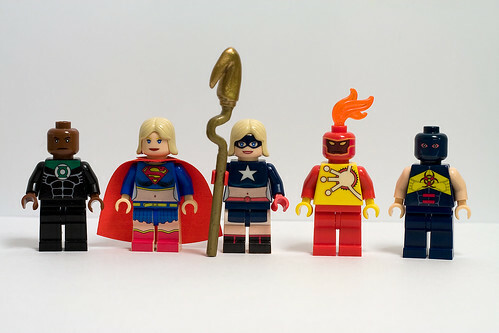 I’ve been a facilitator in the past, and enjoyed it immensely, but I am not in charge of the official decision of whether another six week CLMOOC will happen this summer. I don’t think National Writing Project, which has hosted CLMOOC, envisioned supporting CLMOOC forever, and I know a focus right now by NWP is on Educator Innovator projects such as Letters to the President. I think I can safely say this. 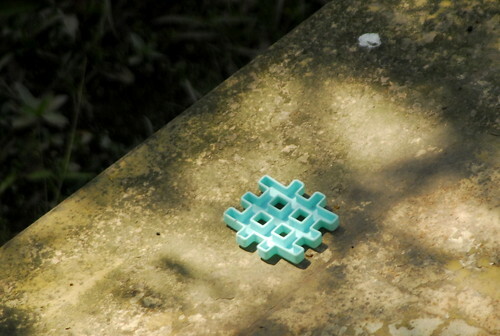 The #CLMOOC Twitter hashtag isn’t going anywhere, and until Google pulls the plug on Google Plus Communities, there is still a home there, too, and people are still sharing links, resources, ideas and a weekly #SilentSunday image share. And we have had some “pop up” Make Cycles this spring, thanks to Joe Dillon and Terry Elliott and others. I know I am planning to use the CLMOOC Make Cycles for a graduate class I am teaching through the University of Massachusetts and our Western Mass Writing Project this summer. Second, I saw a blog post by Alan Levine, reflecting on the Western version of DS106 earlier this year, which he explains better than I can, but I want to note in that in his reflection he reacts to a comment about a sense of “fading” in DS106. I suspect that any online adventure has its time of high activity that slows down after time, even as it continues to persist in some fashion. DS106 is an intriguing example because some university classes use it as a framework of classwork, connecting the physical classroom to online exploration. 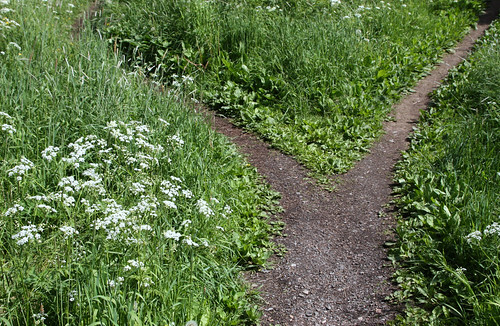 At times, there are “headless” DS106 courses that are not connected to a university — with only nominal direction. Come and go, as you please. Other times, a theme starts and ends, and echoes in the Daily Create. People keep making stuff. Cool stuff. Every day. I was talking to someone who’s been around the DS106 corral and it was this person’s contention that DS106 had “faded” suggesting in so many words it was past the top of a curve, and maybe it was missing a “charismatic leader”. Many people who got crazy bit with ds106 in 2011, 2012 are not much less or non-active. That’s not a problem, that’s a natural curve of evolution. And DS106 does persist and it continues encourage continuous creativity, even if you never dipped a toe into any of its online course mutations. Just look at the DS106 Daily Create. It rolls on and on. People don’t just come and go; People come and go long after their first connection to DS106 ever took place. … we are potentially radically redefining what it means to be an educator. We are very much at the beginning stages of our learning how to create the space required for community to develop and grow in an open course. These field notes speak to the my own journey in the design of ‘Rhizomatic Learning – the community is the curriculum’. They are, in effect, a journey towards planned obsolescence. How do these three strands/posts come together for me? Well, I’m intrigued by Dave’s notion — made years ago but seemingly more and more relevant — about “planned obsolescence” of the architect of online experiences. Dave’s notion of “the community is the curriculum” is intriguing, as is Alan’s notion of the “natural curve of evolution” of an online experience. We may not yet be there. Dave is launching a third iteration of Rhizo under the banner of Learning Resilience. Maybe we still need someone behind the wheel. While the Rhizo community remains active and vibrant, I think we were waiting for Dave to kick off something for 2016. (I know I was but I didn’t realize it until I was writing this post.) I wonder if the person who wondered about DS106 “fading” was waiting, too, for someone like Alan to step up and lead the way. Did Allie think I was in charge of CLMOOC? How do we encourage folks to take over and be the learning itself? Dave and Alan have certainly encouraged that every step of the way. Yet we still gravitate towards someone to get us started. (Maybe that’s not a bad thing. We all need a spark.) How does that decentralizing of learning translate into our classrooms? That’s the question of the longer journey many teachers are on in the Connected World, I suspect. I know I am. Maybe you are, too. If someone comes looking for CLMOOC activities and exploration, perhaps the best answer is to encourage them to create and share Pop Up Make Cycles and invite others to join in. Do we need someone in charge to tell us that CLMOOC is taking place or not? Probably not. We can make learning happen just by making it happen. The fact that Allie had a “serious remix moment” that reminded her of CLMOOC is incredibly exciting. I wonder what that moment was? Can I join in? Don’t you wonder, too? I had the strange experience recently of deeply misunderstanding a situation because the interaction was online, where I misread nuances of words, and was not face-to-face, where I would have been more in tune with things. I don’t want to get into the situation itself, since it has passed and I am fine with it. In the end, I am glad that I was misunderstanding the whole thing, though. But in my misunderstanding, I started to wonder about the act of remembering in the digital age, and how often, our worlds and daily writing become so ephemeral. Words here. Images there. Videos here. Sounds there. I’ve written along these strands before, I think, but I keep circling back around on it. How do we remember where we were (and how do our loved ones find us) when what we write and share are scattered in so many online places? 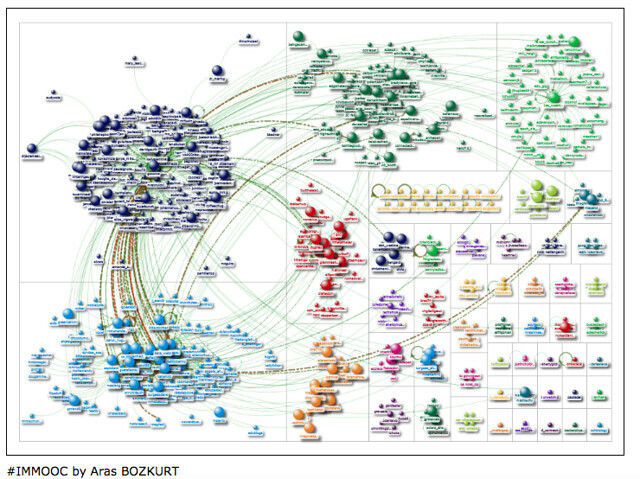 Maybe this is why so many people like Facebook — it’s the one-stop social space where. We trade privacy and information ownership for the known anchor point of social media. Or my sons. They know only a bit of what I do when I am pounding away on the keyboards here. My world as teacher and artists and writer in this space intersects with my world as father at home, of course, but only at times. Sometimes, I have this vision of my sons, years from now, deep into the future, uncovering the things I have made and created over the years, and realizing: that’s what he was doing: writing songs, writing poems, writing posts, making connections. I remember once finding a vinyl record that my father (a drummer) cut with a band, and it was a sort of powerful magic of listening to him as a musician. What if that never happens to me and my sons? What if they never find it? What if what we create, just disappears? We are scattered, and in danger of being lost, forever. I don’t curate myself nearly enough. Do you? This thinking, sparked by the misunderstanding, led me to this melody that I found myself writing when thinking of this act of “remembering” the past week. I am not much of a guitar player, as a solo guitarist, and this is where my muse took me. 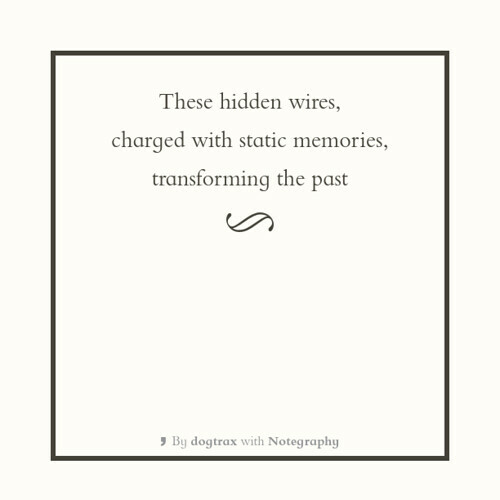 The haiku is part of a daily poetry that I am doing on Twitter. This is not necessarily a book I would have chosen to read on my own, as it deals with the university level and not K-12 (where I teach), but as an extension of Rhizomatic Learning “into the wild,” I have been happily following my friend, Autumm, and her colleagues in a book discussion that is mostly offline and somewhat online (Hashtag: #tomereaders). Teaching Naked: How Moving Technology Out of the Classroom Will Improve Student Learning by Jose Antonio Bowen examines the impact that technology is having on college students and how universities — from professors to administration — can start making shifts to meet the needs of these learners. The term “naked” (which I don’t really like as terminology) by Bowen is that the more technology instructors can use outside of the classroom — such as podcasts, judicial use of email, Twitter/Facebook/Social Networks, etc. — the more time there can in class for inquiry discussions. In other words, the technology can replace the traditional lecture hall lecture. Or, in another educational term, Bowen is talking “flipped classroom” — deliver the lecture outside of the classroom so that the classroom experience can be more engaging for learners. Personally, I think “flipped” can work for some students, those who are motivated to learn, but worry about this approach for disengaged students, those for whom school is just “passing the time” and watching videos of teachers or lessons or using other technology for specific learning goals outside of the classroom just would not be a priority. I wish I didn’t have those students, but the reality is: I do. As we explore systems thinking the Making Learning Connected MOOC this week, this kind of thinking makes sense if we think our current educational system of students in the classroom, listening to lectures, is disfunctional or not reaching enough students. The reason “flipped” is an interesting idea is that it changes the learning system — moving the traditional teaching outside of the classroom with technology (videos, interactives, etc.) and puts the discovery and inquiry and collaborative projects inside the classroom time. The role of the teacher changes, in hopes that the learning space changed, in hopes that the educational system changes … for the better. There are plenty of solid points in Bowen’s book, and I enjoyed elements of it even if very little were new to me. He provided plenty of “implementation guides” for what it might look like in the classroom itself. His emphasis is on gamification of the classroom, a theme he returns to again and again. Much of what Bowen writes about to engage college students – writing to learn, peer feedback, inquiry questions — is the heart of what is being done in elementary classrooms already. It makes me wonder where the threads get lost for that kind of learning. And it makes me think, this is the impact of standardized testing on students, particularly high school students. 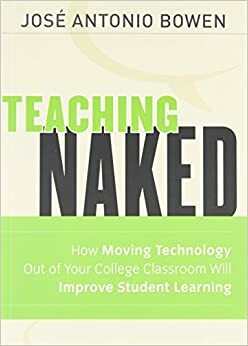 The gap that Teaching Naked fills makes evident how far removed many universities are (or were, as this book is now three years old) when it comes to understanding technology and digital literacies, and learners. You can sense Bowen chastising his university fellows for being stuck in the old “lecture” mode of college teaching and for university administrators for not realizing the shifts underway, and making changes to meet the needs of modern learners. I’m glad I read Bowen’s book, and I have been happy to engage in various online conversations and sharing in the #Tomereaders hashtag. It has given me some new insights into a level of teaching that I don’t often inhabit (although being with the National Writing Project opens a lot of doors to conversations across disciplines and levels). The other day, I shared out a video collection of quotes from a book I am reading with a few others in a project called #tomereaders. The book — Teaching Naked — examines the use of technology in university learning spaces. I wanted to move beyond just quotes, so I took that digital story project and added in a layer of my own commentary/interpretation about each quote (ie, why I grabbed it and showcased it in the first place), and republished it (with a different theme, to differentiate between the two).